Tonight as I write this I am totally feeling down and discouraged. I am trying so hard to not allow the enemy to steel my joy but it is so hard to not be anxious about Sam and all that is going on with him. It is so frustrating to have the doctors who are supposed to be some of the best in the world all baffled. It is hard to not know why he continues to bleed. It is hard to not know how to treat him if he does. It is hard to hold him down so they can poke and prod him over and over. 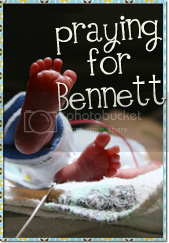 It is hard to think about the repercussions of the things he has to go through. It is hard to stay focused on God and not on the sadness that comes from within. I just want so badly for him to have the immune system piece and nothing else. or NOTHING wrong at all. I don't want all these other GI, hematolgoy, and endocrinilogy questions. All that complaining to say we are home. We are home at least for the night. Didn't get home until after 7pm, and we will be awaiting some blood work results to see what they are going to do next. They are talking about doing a Capsule endoscopy fairly soon, but beyond that I am still unsure. He has lost more weight since thursday. They aren't sure what this is all about, but it is a little over a pound. His hemoglobin and hematocrit steadied this AM, but had dropped last night so they know he is definitely bleeding. His blood pressuer was again elevated. 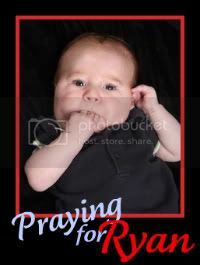 Thanks for your prayers for my boy, please continue to lift him up frequently in prayer to God.